Do a water test. You can fill in the results on our test form or our Online Pond Check. 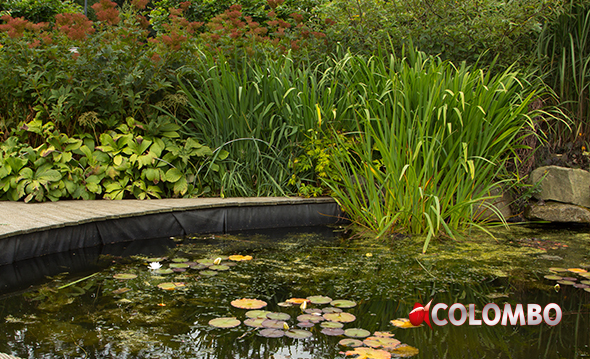 A pond water test can be done with the Colombo QuickTest strip of the Aquatest dripping tests. 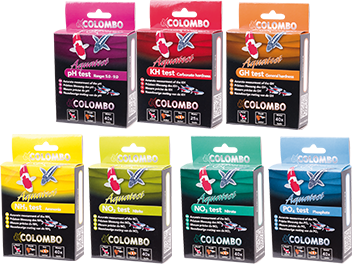 With the QuickTest, you will have a quick and simple indication of the pH, KH, GH, Nitrite and Nitrate value. With the Aquatest dripping tests you can make an accurate measurement of all the water parameters including ammonia and phosphate. 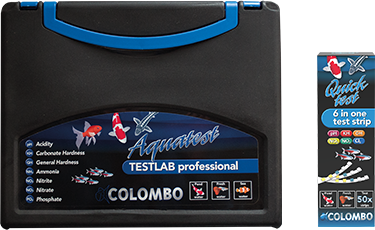 The very affordable Colombo testlab contains all the dripping tests in a practical case.